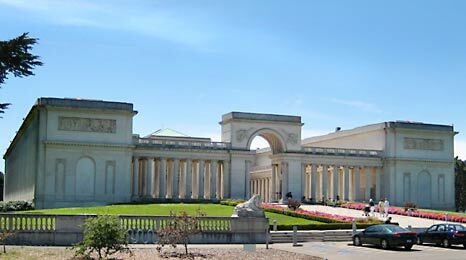 The Legion of Honor houses San Francisco's collection of European fine art in a beautifully high minded classical building. It is located near Land's End, which is a wonderful place for a walk among twisted pines and eucalyptus groves while enjoying the view of the Golden Gate. It is a long way from most of the other attractions.